It was never going to be easy for Legg Mason to absorb Citigroup’s laggard asset management operation. But with chairman and CEO Chip Mason heading toward retirement, the firm is grappling with an unexpected challenge: a dramatic drop in the performance of its equity funds. Raymond (Chip) Mason isnt one to duck a challenge. After building up the tiny Baltimore brokerage he founded 44 years ago by acquiring 15 money managers, the 70-year-old chairman and CEO of Legg Mason could have opted for a quiet retirement. Instead, he chose to engineer what he hopes will be his crowning achievement: trading Leggs brokerage business for Citigroups global money management arm in a transaction worth $4 billion, the biggest of its kind up to that point. The deal, which closed in December 2005, more than doubled Leggs assets, to $858 billion, transforming the firm overnight from an asset management wanna-be into a potential juggernaut  one of the five largest fund companies in the U.S. and by far the dominant publicly traded pure-play money manager. Investors, happy to hive off the brokerage arm and its potential conflicts of interest, embraced Masons vision of a focused equity and fixed-income manager with the size to go toe-to-toe around the world with behemoths like Fidelity Investments, Barclays Global Investors and State Street Global Advisors. Legg Masons shares, trading at $84 when the deal was announced in June 2005, soared as high as $140 on February 1. Were optimistic about our new asset management franchise and our potential to deliver results going forward, Mason confidently told analysts in an earnings call that day. Some ten months later Mason and his lieutenants have more than a little egg on their faces. By early December the stock was trading in the high $90s. The merger, never expected to be easy, has fallen behind schedule and is proving more nettlesome and costly than envisioned. Worse, Legg Masons sparkling reputation for investment acumen has been tarnished. The struggles of the firms investment guru, William Miller, have been well chronicled: His $18.7 billion Legg Mason Value Trust equity fund is on track to underperform the Standard & Poors 500 index for the first calendar year since 1990, ending one of the longest winning streaks on Wall Street. Despite a frothy market, the poor equity performance at Legg is widespread. Although the firms overall asset base is growing marginally, thanks mainly to its strong fixed-income products, assets are pouring out of its stock funds and private wealth business. Some of Leggs woes could have been predicted. Its earlier acquisitions were far smaller, top-rated money managers that retained their independence as operating subsidiaries, a formula that enabled Legg to maintain its performance edge even as its total assets under management nearly quintupled, to $418.5 billion, from 1986 to 2005. With the Citi purchase, however, the firm swallowed a business that was not only larger than itself but a mediocre performer, hampered by the lack of a coherent strategy and a reputation scuffed up by regulatory scandals. What makes the current dilemma so remarkable is just how badly Legg itself appears to have stumbled. With the S&P 500 index up 8.53 percent in the first nine months of the year, the firms 26 legacy equity mutual funds inclusive of all share classes returned just 3.29 percent, on average, according to Morningstar. That performance trailed even those of the lackluster Salomon Brothers and Smith Barney funds acquired from Citigroup by more than 2 percentage points. Executives insist that the merger isnt to blame for the drop in performance, noting that the firm has insulated portfolio managers from the distractions of integrating the Citigroup and Legg Mason businesses. Mason blames the meager returns on the tough environment for U.S. stocks, including high energy prices and interest rate hikes by the Federal Reserve Board. Since weve done the Citi deal, weve had the wind in our face, he says. But so has every other active fund manager. To be sure, stock picking has gotten harder as the U.S. market rally has become more narrowly focused, with fewer stocks posting sizable gains. Only 28 percent of equity mutual funds outperformed the S&P 500 in the first ten months of this year, down from 65 percent in 2005, according to Merrill Lynch & Co. Legg, however, has fared worse than its rivals. Its U.S.-sold equity funds underperformed those of all but one of 15 publicly traded active asset managers in the first ten months of this year, says Merrill analyst Guy Moszkowski, who covers financial stocks. Investors are voting with their feet. Moszkowski expects the firm to suffer $13 billion in outflows from its stock funds during the second half of the year, compared with $18 billion in inflows for the same period last year. That has skewed Leggs asset base toward lower-fee fixed-income accounts, squeezing margins. On October 11, Moszkowski downgraded Legg from buy to sell when the firm preannounced a third consecutive earnings shortfall, sending its stock down 18 percent. Given Masons record, many supporters believe that in time he should be able to steady the company and get it back on track. Trouble is, he may not have much time. Although he remains the public face of the company in analyst conference calls and meetings with institutional investors, Mason says he plans to retire in a year or two, and he has stepped back from day-to-day management to a degree not widely perceived. The task of righting Legg Mason instead falls to 45-year-old James Hirschmann, former CEO of Western Asset Management Co., Leggs fixed-income subsidiary. In May he was named president of the parent company. Two months later he was made chief operating officer, a new post. Hirschmann got the nod largely because of his successful tenure at Western, although his easy-going temperament, which mirrors that of his boss, was also seen as an asset. With an unprecedented integration under way, Mason says he felt compelled to pick a successor from within Legg. Thats a big if, but Hirschmann has certainly taken command. He is planning to launch new fixed-income products and sell them through the global platform Legg acquired through the Citigroup deal. Thus far he has signed about a dozen distribution pacts with top firms like Morgan Stanley and Bank of America Corp. Hirschmann is also merging and closing funds, paring back the sprawling postmerger lineup of open-ended funds from 166 to 119. The goal is fewer products with better returns. CHIP MASON NEVER SET OUT TO CREATE AN asset management behemoth. After a tough childhood in Bethlehem, Pennsylvania  his father died of a heart attack when Mason was seven  he graduated from the College of William & Mary in 1959 with a BA in economics and joined his uncles brokerage in Lynchburg, Virginia, as a trainee. Mason quickly earned the trust of local businessmen, who lent him $200,000 three years later, when he was only 25 years old, to start his own brokerage in Lynchburg called Mason & Co. In 1970, Mason merged his firm with Legg & Co., a venerable Baltimore brokerage looking to expand in the South. Over the next decade he pondered ways to persuade clients that his brokers could be trusted to produce solid returns and concluded that he should start a fund management operation. [The business] would show that you did know how to make money for people, and that would have real value, Mason recalls. So in 1981, Mason hired Bill Miller, whose wife, Leslie, a broker, knew the firms head of research, Ernie Kiehne. Miller, then a doctoral candidate in philosophy at Johns Hopkins University, had managed pension funds as treasurer of J.E. Baker Co., a York, Pennsylvania, manufacturer, in the mid-1970s. Impressed by Millers talent, Mason promoted him to head of research and charged Kiehne with developing a mutual fund. The following year Mason created Legg Mason Capital Management, a money management division, and launched its first fund, Value Trust, co-managed by Miller and Kiehne. The timing was auspicious. The fund was launched in April 1982, just four months before U.S. stocks took off on one of the biggest bull runs of the 20th century. Value Trust was a big hit, paving the way for Legg to raise $14 million in an initial public offering in 1983. Miller and Mason lost little time duplicating the success of Value Trust by starting up two new funds, Legg Mason Total Return Trust and Legg Mason Special Investment Trust, in 1986. By then, Value Trust was managing $430 million and had gained 199 percent in three and a half years, compared with 126 percent for the S&P 500. That same year Merrill Lynch, which underwrote Leggs IPO, approached Mason with a pitch to expand into the institutional fixed-income market by acquiring Western Asset Management, which First Interstate Bancorp had put on the block. Mason had sound reasons for pursuing the deal. For the 12 months ended March 31, 1986, money management brought in 12.5 percent of Legg Masons revenue and 25 percent of its profits  and those profits were far less cyclical than brokerage commissions. After overcoming objections from Leggs board, Mason forked over $20 million  then about half of his firms capital  for the $2.7 billion-in-assets boutique. They thought Id lost my mind, Mason told II in a 1998 interview. But within fifteen months of the deals closing, Westerns assets had increased by $1 billion. Masons formula was to scout best-of-breed money managers whose founders were ready to retire or cash out. In exchange for a share of revenue, he promised autonomy to his acquired boutiques, which would report directly to him. They were allowed to do what they wanted, how they wanted, with some change but not with any change of any consequence  and certainly no change in their investment processes, he says. Over dinner in 1995, for instance, Mason offered to buy Cincinnati-based Bartlett & Co., which managed $211 million in two value-oriented equity mutual funds. James Miller, the firms CEO, was so impressed by Masons grasp of Bartletts investment approach and his promise of independence that he later accepted Masons bid of $36 million in stock even though it was $4 million lower than a competing offer. Not all of Masons deals went so smoothly from the start. Also in 1995, Legg bought Boston-based Batterymarch Financial Management from CEO Dean LeBaron, a quantitative investor whose firm managed $5 billion. Mason paid $54 million in cash and promised to fork over an additional $66 million if the firm met certain asset growth targets. But the following year Vanguard Group fired Batterymarch as the subadviser of its $1 billion-in-assets Trustees Equity Fund International Portfolio, citing poor performance, and Legg never made the second payment. Batterymarch recruited Daniel Kelly, a veteran marketer from Fiduciary Trust International, to rebuild the business. During his tenure the Batterymarch-managed Legg Mason Emerging Markets Trust fund has notched five-year annualized returns of 26.33 percent, beating the MSCI EAFE index by 12.01 percentage points. In January 1998, Mason expanded his institutional equity business by acquiring value shop Brandywine Asset Management for $129 million in stock. By 2000, Leggs assets had reached $112 billion and money management was contributing 60 percent of the firms operating profits. Mason knew that getting rid of his brokerage was the right thing to do, but he was attached to the business. After passing up a few potential deals that came his way  Legg reportedly held discussions with Merrill Lynch but couldnt agree on terms  Mason received a telephone call in late November 2004 from thenCitigroup chairman Sanford Weill. Weill had lived in Baltimore while running Commercial Credit Co., which later became part of Citigroup, and had been friendly with Mason for nearly 20 years. The Citigroup chief had been shopping his asset management business around for months. The unit had been underperforming, and Weill was eager to resolve the potential conflicts inherent in running both that business and Smith Barney, Citis brokerage. He offered a deal that appeared tailor-made for Leggs needs: Citigroup would give the firm roughly $400 billion in fixed-income, equity and money market assets in return for Leggs brokerage unit, about $500 million in cash and $1.5 billion in stock. The deal valued Citis fund management business at just ten times earnings before interest, taxes, depreciation and amortization, but its huge asset base would propel Legg into the industrys upper tier. Still, the deal was too good to pass up. As Mason prepared to announce the transaction on June 24, 2005, he strode solemnly into a conference room, armed only with a yellow legal pad, a pen and a calculator. A colleague standing nearby noticed tears in his eyes. WHEN MASON purchased CITIGROUPS ASSET management business, he bought into a troubled history dating back at least three decades. Citigroups previous incarnation, Citibank, had begun to focus on mutual funds as a diversification engine in the 1960s. By the late 1970s the effort was fizzling, and the bank recruited a new chief investment officer, Peter Vermilye, to reorganize the operation and improve performance. But in 1989, in the wake of the emerging-markets debt crisis of the 1980s, the banks then-CEO, John Reed, sold the $17 billion-in-assets business to insurer USF&G Corp. Eventually, it became part of London-based Amvescap. In 1997, Citicorp made a second push into asset management. It recruited Putnam Investments head of equities, Peter Carman, as chief investment officer, and showered him with money to build a retail and institutional business with nearly 100 portfolio managers, analysts and support staff. Just a year later, though, Citicorp and Travelers Group merged to form Citigroup, which resulted in the creation of a larger, more convoluted money management division. The entity that would become Citigroup Asset Management combined Carmans operation with two divisions that had coexisted uneasily within Weills Travelers Group: Salomon Brothers Asset Management and Smith Barney. The goal of combining these entities was to leverage Citigroups vast global distribution capability to draw retail investors into mutual funds and institutional investors into separate accounts. Thomas Jones, a TIAA-CREF veteran who was running Travelers asset management division, became co-chairman and CEO of the new entity, which oversaw $327 billion, including private banking accounts. Carman was co-chairman and CIO. The expansive Citigroup unit had a few strengths. Salomon Brothers contributed top products in high yield, emerging markets and convertible securities. On the equity side the Smith Barney fund complex featured a handful of leading portfolio managers, including Richard Freeman, whose Smith Barney Aggressive Growth Fund ranks in the top percentile among its peers on a trailing ten-year basis. For the most part, though, Citis fund managers performed poorly. From 1995 to 2005, Salomon Brothers funds dropped from the 27th percentile to the 59th percentile. During the same period Smith Barneys funds fell from the 53rd to the 65th percentile. If mediocrity ruled, so did top managements seeming indifference to an asset management division that in 2005 contributed $4.6 billion in revenue and $2.19 billion in net profit, just 5.5 percent of Citigroups top line and 8.9 percent of its bottom line. The division was also marked by scandal. Jones and two other senior Citi executives were asked to resign in 2004 after the Japan operations of Citigroup Private Bank, part of the asset management division, were shut down by that countrys Financial Services Agency, which found that Citi had misled customers about investment risk and failed to prevent suspicious transactions. Then in May 2005, Citi forked over $208 million in penalties and disgorgement to settle U.S. Securities and Exchange Commission allegations that it had gouged Smith Barney fundholders by pocketing discounted transfer agent fees. By then, talks with Legg Mason were under way. Weill and his successor, CEO Charles Prince, had determined that Citis asset management unit simply wasnt worth fixing. The search for a successor to CHIP Mason began in earnest when the Citigroup deal was announced. If we were going to take on something this big, either I had to stay around a lot longer or we would be better off choosing internal people, says Mason. The fact that James Hirschmann kept a low profile during that process is one of the key reasons he was chosen. Like his mentor, he grew up in modest circumstances in Pennsylvania, where as the oldest of eight children he learned respect for tradition and developed an easygoing manner like Masons. Hirschmann shares another similarity: He has never managed investment portfolios for a living. Most of his experience since graduating from Philadelphias Widener College with an accounting degree in 1982 has been in marketing, first at Atalanta Sosnoff Capital Corp. in New York, then at a Denver trust company that is now part of investment manager Invesco  and beginning in 1989, at Western. As head of business development there, Hirschmann led the first international acquisition at a Legg unit when he snapped up London-based Lehman Brothers Global Asset Management, which managed $2.9 billion in institutional and offshore debt and equity funds, for an undisclosed amount in 1996. The following year Hirschmann moved with his family to London to run the business, rebranded as LM Global Funds. He returned to Pasadena two years later to become Westerns CEO. Through 2005 Westerns assets grew about fivefold, to $249.2 billion. Mason, for his part, is letting go of the reins. Im trying to let him run more and more and more of the day-to-day operations. And hes doing it, he says. Occupying most of Hirschmanns time is the complex integration of the Citigroup businesses. 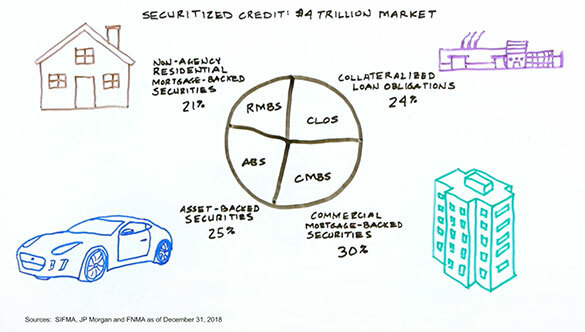 When the deal was announced, almost a third of the $437 billion in acquired assets was fixed income and is now mostly being absorbed by Western. Proportionally, though, Legg got more scale in equities from the deal, nearly doubling those assets, to $313 billion. Small amounts went to existing Legg Mason units, which will remain independent, including Bartlett & Co., Batterymarch Financial, Brandywine, small-cap value manager Royce & Associates and Legg Mason Capital Management. The majority of the equity flowed into ClearBridge Advisors, a new subsidiary based in New York, which holds $110 billion in equity funds, annuities, 529 savings plans and separate accounts  and where Salomon Brothers and Smith Barney funds are being rebranded as Legg Mason Partner Funds. To manage the effort, Hirschmann realigned Leggs subsidiaries into three divisions in June, putting veteran Legg Mason executives in charge. Timothy Scheve, 48, previously president and CEO of Leggs brokerage, now runs corporate administration and international asset management; Peter Bain, 47, who was chief administrative officer, now oversees U.S. asset management; and Mark Fetting, 51, formerly president of asset management, is running global distribution. That still leaves a big problem in equities. Five of Leggs biggest legacy mutual funds, representing $38 billion of the firms $223 billion in U.S. fund assets, are underperforming the S&P 500. These offerings  Value Trust, Opportunity Trust, American Leading Cos., Special Investment Trust and Growth Trust  are locked into an exclusive sales agreement until December 2008 with Smith Barney. This year through September the $955 million Growth Trust trailed the S&P 500 by 15.7 percentage points  the worst result among the five funds. Merrill Lynchs Moszkowski estimates that with performance down and assets fleeing, the higher-fee equity portion of Leggs asset mix will drop from 37.4 percent in the fiscal year ended March 2006 to 33.6 percent in this fiscal year. He expects the organic growth rate of Leggs total assets, which were $891 billion as of September 30, to decline to just 3.1 percent this fiscal year, down from 9.5 percent in fiscal 2006. That anemic gain is squeezing Leggs operating margin, which Moszkowski expects will fall from 24.7percent in fiscal 2006 to 24.1 percent in the year ending in March 2007. Still, Moszkowski expects Leggs top and bottom lines to continue to rise this year and next because its overall asset base is increasing. The analyst projects the firms revenue will jump from $3.22 billion in fiscal 2006 to $4.18 billion in 2007, while net income will rise from $509 million to $620 million. Stabilizing Leggs assets depends in large part on a turnaround at ClearBridge, the unit that houses most of Citis legacy equity assets. A few days after announcing the Citigroup deal, Mason recruited a CEO for the unit: Brian Posner, 45, a veteran of Fidelity and Warburg Pincus who co-founded Hygrove Partners, a value-oriented long-short equity hedge fund, in 2000. Posner is also cochief investment officer of ClearBridge and co-manages the $1.5 billion Legg Mason Partners Capital Fund. Posner is counting on continued strong performance from a handful of topflight managers who stayed on board following the acquisition. They include Freeman, whose fund has been renamed Legg Mason Partners Aggressive Growth Fund, and Harry (Hersh) Cohen, who is Posners cochief investment officer and runs what is now called Legg Mason Partners Capital Preservation Fund. If recent history is any guide, it could take years just to erase the impact of poor performance and return equity flows to previous levels. After you improve performance you still have to prove to everybody that it wont happen again, says Harindra de Silva, president of Analytic Investors, a quantitative investment firm based in Los Angeles. A case in point is Denver-based growth specialist Janus, which suffered damaging outflows after losing investors money for three years straight from 2000 to 2002. Even though the firm has delivered three-year annualized returns of 13.6 percent, inflows still havent fully recovered. Equities arent the only assets that are flowing out from the newly enlarged Legg Mason. The asset managers $139 billion in money market accounts, most of which were acquired from Citigroup, have proved difficult to defend against banks that are offering no-fee products. In January 2006 alone clients withdrew $9.2 billion from these accounts largely because they were place holders that Citigroup customers had used to reserve the right to apply for loans, says Mason. They hit us harder than we thought, he adds. With equity and money market assets declining, Western Asset Management, which raked in 80 percent of Leggs inflows before the Citigroup deal, must continue to perform yeomans service. Although concerns about integration led institutional investors to lock Western out of mandates for seven months, the acquisition is largely a plus because Citigroups fixed-income capabilities are highly complementary. The deal boosted Westerns mutual fund assets nearly tenfold, from $18 billion to $176 billion, and its separate accounts by 62 percent, from $193 billion to $313 billion. In addition, Legg gained Citi's expertise in U.S. municipal bonds as well as its established strengths in such areas as high yield and emerging markets  competencies that should help Hirschmann as he looks to launch new products for the institutional and retail markets. Western also acquired a far more competitive global platform from which to launch new local-currency products. Previously, Legg managed a paltry $12 billion in global assets; its only non-U.S. money management professionals were in London and Singapore. The Citi business brought $45 billion in non-U.S. assets, along with asset management operations in Hong Kong, Melbourne, Santiago, São Paulo, Tokyo and Warsaw. Taking advantage of that platform is going to be critical to the future success of Legg, says Hirschmann. That global presence is also crucial to growing Leggs private wealth business, which with $65 billion in assets now makes up only 7.3 percent of Leggs total. The number of individuals with $1 million or more in investable assets grew 9.9 percent worldwide in 2005, outpacing the 6.5 percent growth rate in the U.S., according to a study by Merrill Lynch and Capgemini. Last year Legg added to its private wealth arsenal by spending $1.39 billion to acquire Permal Group, which manages $26 billion in funds of hedge funds, mostly for high-net-worth investors outside the U.S. The threat to Leggs overall business is sure to intensify. In October, BlackRock expanded its competitive arsenal by acquiring $544 billion-in-assets Merrill Lynch Investment Managers  a bigger bite than Citis asset management business  and formed a new company that assumed the BlackRock name. (Merrill Lynch owns 49.8 percent.) The new BlackRock looks a lot like the new Legg. Its MLIM acquisition brings assets under management to $1.05 trillion and nearly triples equity assets, to 33 percent of the total. But BlackRock picked a better-performing asset manager than Legg did: MLIM funds inclusive of all share classes delivered a 13.95 percent three-year average annualized return through October 2005, compared with 9.06 percent for Smith Barney funds and 11.05 percent for Salomon Brothers funds. Back in Baltimore, Mason is easing up after a long career in which he was often the first to arrive and the last to turn off the lights. At his firms headquarters he takes time to stop and chat with the security guard at the front desk, waits his turn for the elevator and leisurely strolls around the office. Hirschmann, however, cant afford a relaxed attitude as he takes control. Leggs shareholders, impatient with the sputtering performance, will be holding his feet to the fire.